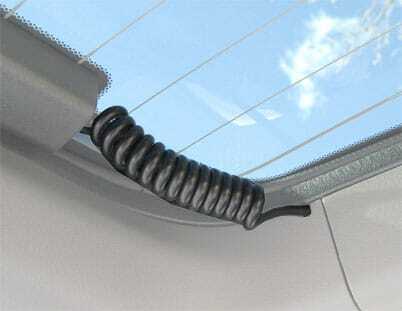 Vehicles with hinged back glass use high performance coil cords to connect the defroster tabs with the defroster circuit. These cords stretch to allow hinged glass windows on truck caps, hatch backs and other glass to open and close along hinge line. These hard to find coiled wires are top quality cords compatible with most vehicles including Ford, Honda, Toyota, Nissan, Subaru, GM, Chrysler and many others. 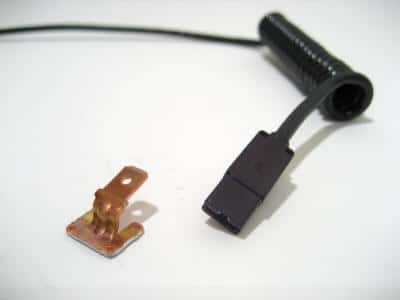 The cords are sized for high amperage defroster connections and include the Uni-Con connector which fits all defroster tabs. The wire lead on the connector side is 1.75 inches (4.44) in length followed by 3 inches (7.62) of coil and a 7 inch (17.78) lead. The coil stretches 7.5+ inches easily. If the tab has come off the defroster then use the 2000 Frost Fighter Defroster Tab Bonding kit to conductively bond the tab back to the defroster. 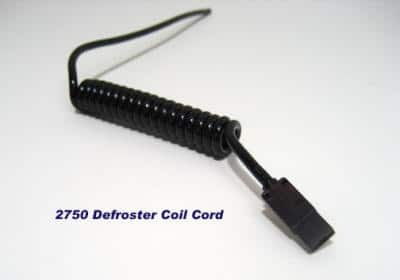 Defroster and Demister Tabs are not included with coil cords or tab bonding kits. 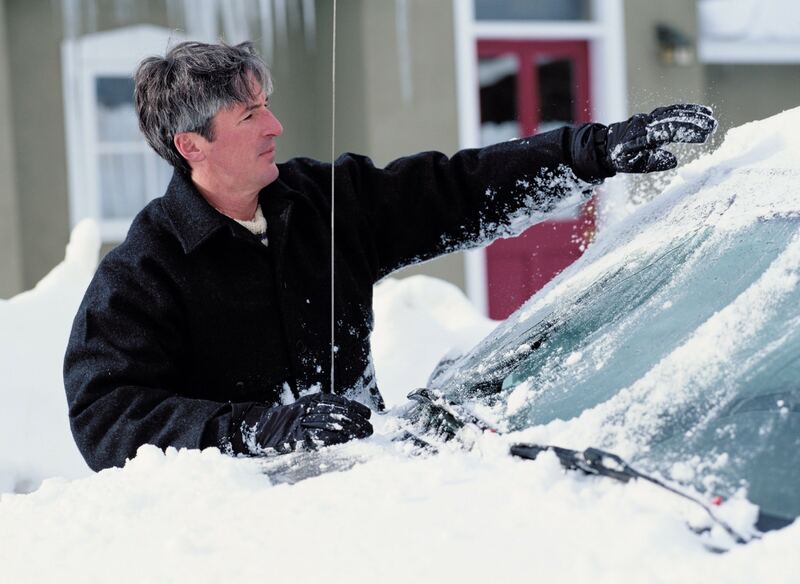 If you need tabs, see more on the Clear View Defroster Replacement Tabs.